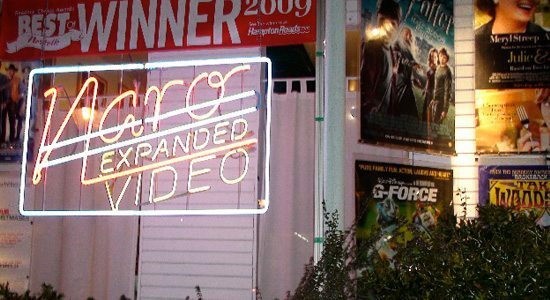 One of our favorite pastimes when we roam our great country is to secretly visit some of our best friends – the indie video stores which are the lifeblood of our industry. Our little clandestine stops are important, because it helps us to see which stores have been naughty and which ones have been nice in the featuring of Severin product. One store near the top of our “nice” list is Naro Expanded Video in Norfolk, VA. Severin stopped by over the holidays and counted no less than 9 Severin titles in stock. This naturally prompted a visit from our Secret Severin Santa, who dropped a free copy of Screwballs on Blu-Ray down the Naro’s chimney. For more info about the Naro, visit them on Facebook. 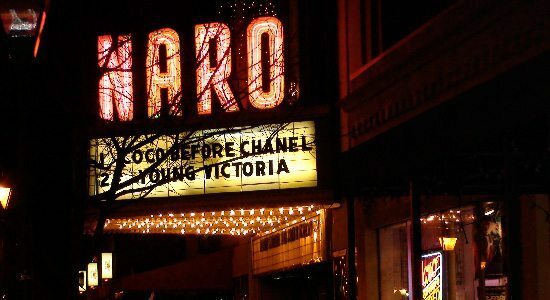 Naro Expanded Cinema is next door to Norfolk’s historic Naro Theater on Colley Avenue. Despite its benign exterior, this store houses a copy of The Sinful Dwarf. Naro employees Diane and Erik have now discovered the true meaning of Christmas – the everlasting joy of seeing Screwballs in High Definition.